Lesson learned: It is a bad idea to throw a banana peel over the edge of a cliff if you are hiking with a retriever. That’s all I’ll say about that. Now, on to our trip. 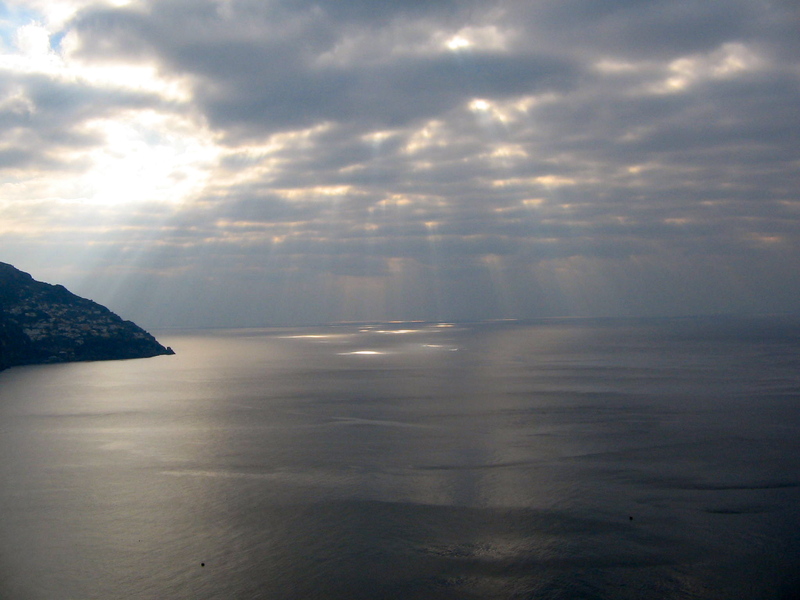 Friday evening I picked up my husband from work and we headed for Positano, Italy. It was under an hour and a half drive to get there, but the trip felt like an eternity. We were on the edge of a cliff for most of the drive, and in the pitch-black darkness of night, every curve looked like the end of the world as the sky and water merged. I gripped the “oh-expletive” handle, the dog whimpered in confusion, and my husband laughed at the two sissies he had as passengers. 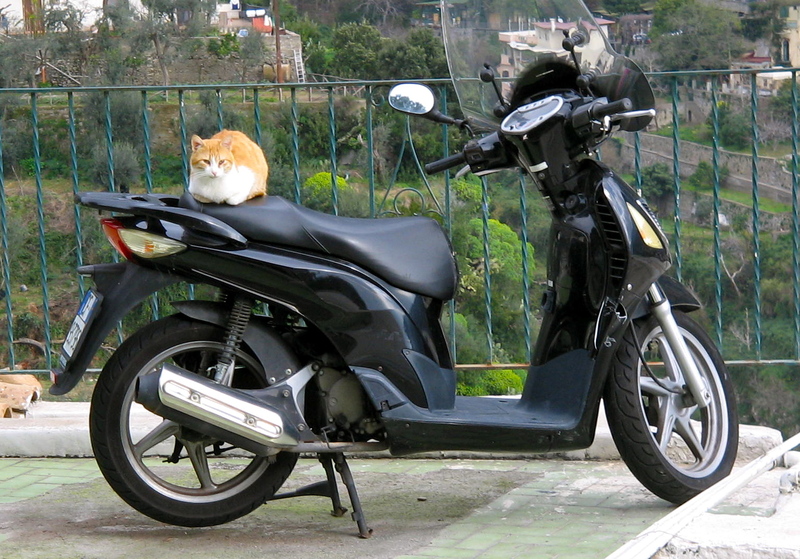 We finally pulled into Positano and took the one-way road down towards the center of the city. Our hotel, Conca d’Oro, directed us to a parking garage and sent someone to help us with our bags. I almost offered that we could carry them on our own, but after taking 100 stairs to get to our hotel entrance, I’m glad something stopped me. During check-in I mentioned to the hotel manager that we needed dinner recommendations for two nights. She said she would take care of it, and that a car would be there to pick us up in twenty minutes. We unloaded our stuff into a gorgeous room with a view and headed back down the 100 stairs. An unmarked car with two passengers in the back stopped in front of where we stood on the side of the road and motioned for us to get in. We got in the car with a guy who didn’t speak English or show any proof that he was supposed to be picking us up, and we did it with confidence that he was not taking us away to kill us. This just goes to show how trusting you become living here. The other couple in the car were Canadians, living in London, vacationing in Italy. We talked about the Vancouver Olympics and a new gondola connecting Whistler and Blackcomb, then wished them farewell at their drop off point. Once we were alone in the car, we started whispering about whether we were supposed to pay the driver, and where he might be taking us. Once we reached La Tagliata Trattoria, it became apparent that the car was a free service from the restaurant, and a smart one at that. I can tell you for certain that we would not have arrived there any other way. Also, since Positano has one road that loops and winds through the city going one way, it’s an easy route to manage for the driver. The food at the restaurant was delicious, which was a good thing since they didn’t give us options or a menu. The wine was also delicious, and the staff was all one big, proud, happy family – literally. It was a great start to our trip. After our meal, the driver took us back to our stop where we proceeded to walk back up the 100 stairs to our hotel and fall into bed fat and happy. Saturday morning was lovely as the sun shed light on our surroundings. I pointed at a roadway and said, “That looks cool, huh? !” Turns out I was pointing at the road we had driven in on. Things just don’t look as scary in the daytime. 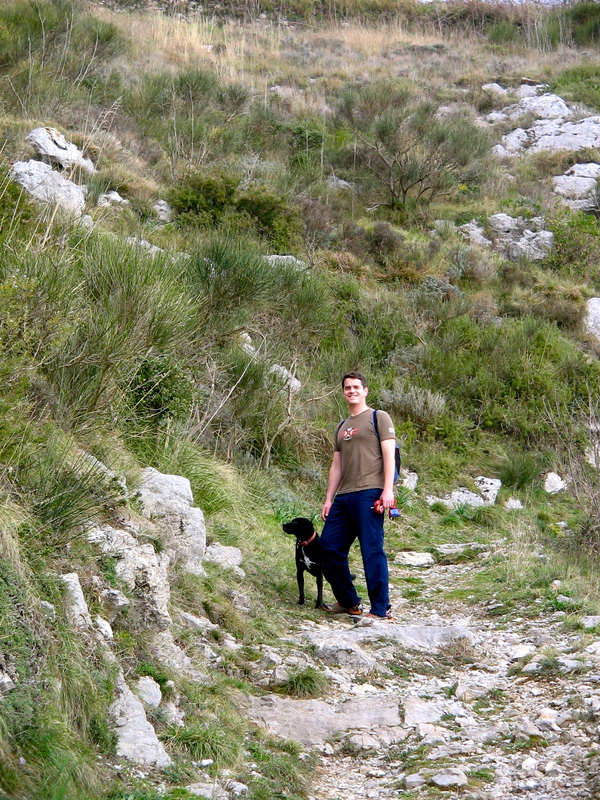 We had breakfast at the hotel and took off on a hike…a really long hike. 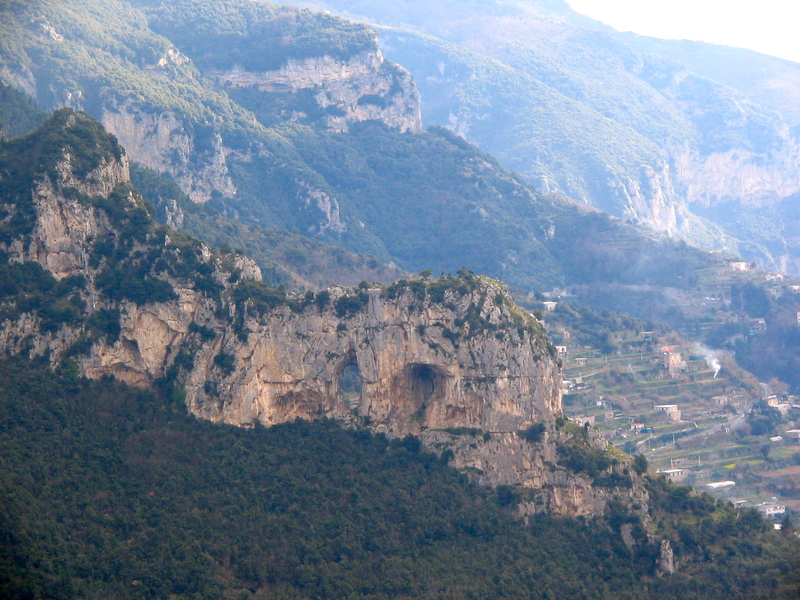 The hike was a portion of the Path of the Gods (Sentiero degli Dei). It was gorgeous, and uphill for a solid two hours. Funny thing though, our legs didn’t actually start to shake until we were coming back down. We thought the dog was going to lie down and give up at one point, but then he saw some cats and was able to dig into his reserve energy supply to go terrorize them. An Italian lady wasn’t too pleased, but Mason was having fun, and he’s our priority. Once we reached our hotel (after doing the 100 stairs again) we decided it was time to enjoy our balcony. Books, really good wine (thank you to the Shaffers), a big block of Parmigiano and a gorgeous view were just what the doctor ordered. We polished off the bottle and decided it was naptime. A 3-hour nap and two cleaned up adults later, and we were ready for our dinner on the beach. Our hotel had recommended La Pergola for dinner that night, and once again, they were spot-on. Walking down to the beach we were very aware that it was the slow season. We could imagine how the high season would include many more open venues and huge crowds of people. For our weekend getaway, one open restaurant on the beach with live music was perfection. The Italian vocalist sounded just like Ne-Yo and even covered some Michael Jackson. It was amazing! We ordered all fish for dinner, and the mussels alone would have been enough to leave us both in heaven. The seafood was so fresh, and we washed it down with local wine. Already full, we ordered cannolis and limoncello and managed to polish them off, too. Sunday we strolled the city and let Mason play in the surf. The locals were very impressed with him as he repeatedly fetched in the water. They all gathered around and cheered for him. They were less impressed to find out that swallowing saltwater works like a saline enema for dogs. Needless to say, the after-party cleared them all out. 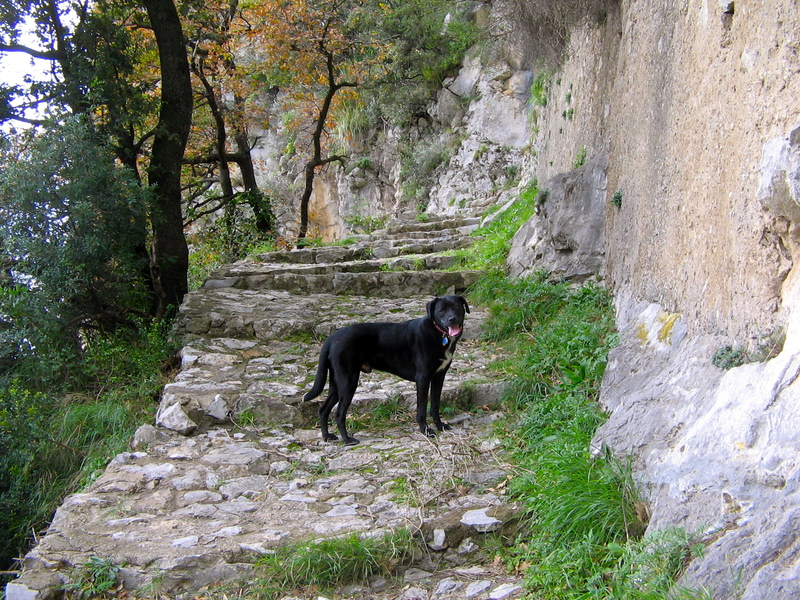 For lunch we went back to La Pergola, and they let us dine with our tired, wet dog in tow. We all shared some yummy pizza, and then my boys went to get the car while I strolled around the shops. 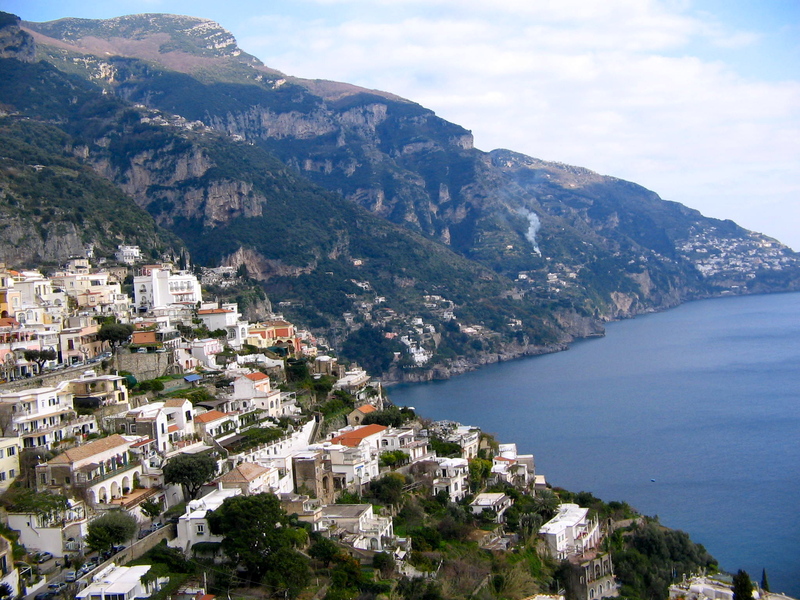 Positano is known for it’s great shopping, but it can get pretty expensive. I proved to be my father’s daughter by purchasing steaks from the butcher, a fine bottle of local red, and a ceramic wine stopper with an image of Positano, rather than clothing. The drive back was beautiful rather than scary because we were on the inside of the road, and I could see the magnificent views rather than solid blackness. In the high season, I think trains and buses will be ideal transportation, but it was nice to explore Positano in our car during the low season. We’re lucky to have such beauty in such close proximity. 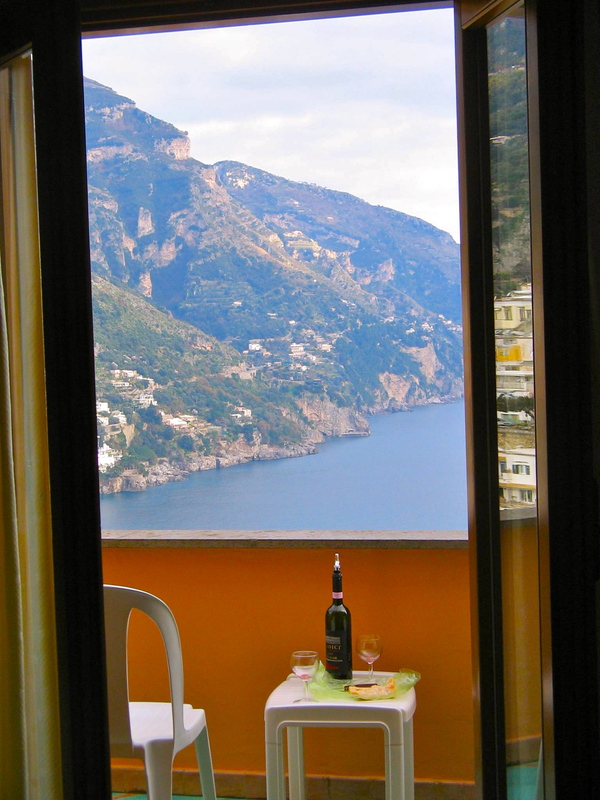 Popping off to Positano for the weekend when you live in Napoli is the equivalent of heading to Helen, Georgia when you live in Atlanta. How the heck did I score this gig?! I spent last 2 hours reading your posts ! And must say: awseome site ! ! I am a lucky guy, i found many interesting articles on your website, thank dude !